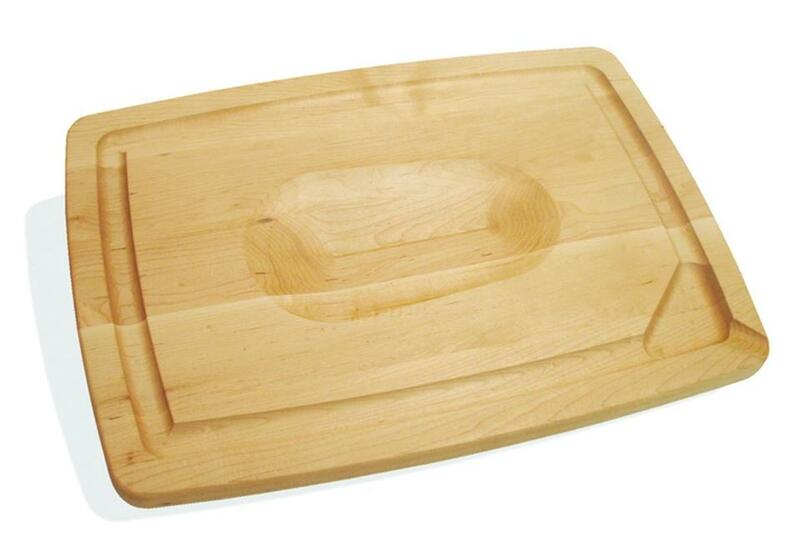 This sturdy maple carving board is custom-designed for the holiday turkey. It’s made by Vermont’s JK Adams, a family-owned business that’s been crafting sustainably grown hardwood products for 72 years. The 20-inch-by-14-inch board ($69.99) has an oval depression in the center, just deep enough to cradle a medium-size bird and hold it steady while you carve. Juices drain into a channel about an inch from the edge and can be poured off through a spout at one corner. The board is reversible, with a flat side (also with a groove to catch liquid) for roasts and steaks. Available at Kitchen Outfitters, Acton Woods Plaza, 342 Great Road, Acton, 978-263-1955; Local Root, 221 Concord Ave., Cambridge, 617-354-2400, and 2284 Washington St., Newton Lower Falls, 617-467-4847, and TAGS Hardware, Porter Square Shopping Center, 29 White St., Cambridge, 617-868-7711.